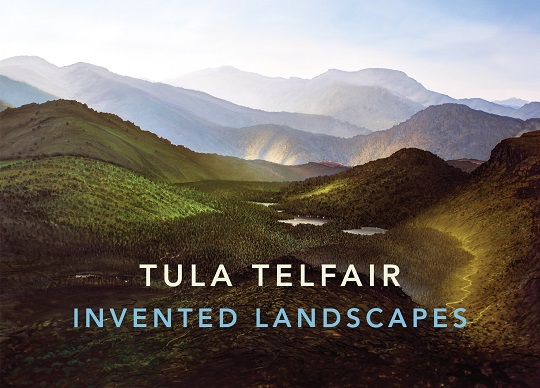 Tula Telfair's hyper-realistic landscape paintings are at once awe-inspiring and extremely personal. Although vividly detailed, the scenes she depicts are not found in nature; they are conjured from memory and imagination. Informed by her experiences growing up on four continents, Telfair produces fantastical visions with delicate brushstrokes and a breathtaking mastery of color and light. Suggestive of waterfalls in Africa, deserts of the American Southwest, and ice floes in Antarctica, Telfair’s art draws attention to the power and fragility of nature. Essays by Henry Adams and Michael S. Roth explore the technical and aesthetic aspects of Telfair’s work, her personal history, and the interplay between realism and invention. Tula Telfair grew up in Africa, Asia and Europe before moving to the United States. Her work is featured in public collections around the world and has been widely exhibited. She is a professor of art at Wesleyan University and lives and works in New York City and Lyme, Connecticut. Henry Adams has written 14 books or book-length exhibition catalogues and is a professor of art history at Case Western Reserve University in Cleveland. Michael S. Roth, president of Wesleyan University, publishes essays, book reviews and commentaries in national media and scholarly journals. He lives in Connecticut. J. Michael Fay is an American biologist, ecologist, conservationist and is a National Geographic Explorer-in-Residence. Henry Adams is an art historian and curator. The author of more than 300 scholarly and popular arti-cles, his subjects in the field of American art range from the seventeenth century to the present. He has written twenty books or book-length exhibition cata-logs, including Eakins Revealed and Tom and Jack: The Intertwined Lives of Thomas Hart Benton and Jackson Pollock. He has been singled out by ARTnews as one of the foremost experts on American art. From 1984 to 1993, Adams was the Samuel Sosland Curator of American Art at the Nelson-Atkins Museum of Art in Kansas City and, in 1989, he produced a documentary on Thomas Hart Benton in partnership with Ken Burns. He is a graduate of Harvard and Yale, where he received his B.A. and PhD (respectively) and is currently the Ruth Coulter Heede Profes-sor of Art History at Case Western Reserve University in Cleveland. Michael S. Roth, Wesleyan class of 1978, became the sixteenth president of Wesleyan University in 2007, after having served as Hartley Burr Alexander Pro-fessor of Humanities at Scripps College, associate director of the Getty Research Institute, and president of the California College of the Arts. While at Wes-leyan, he has overseen the launch of two new centers and four new colleges emphasizing interdisciplinary research and community learning. He is an author and curator, most notably of the exhibition “Sigmund Freud: Conflict and Culture,” which opened at the Library of Congress in 1998. Roth’s recent books include Memory, Trauma, and History: Essays on Living with the Past and Beyond the University: Why Liberal Education Matters. He also regularly publishes essays, book reviews, and commentaries in the national media and scholarly journals, in addition to teaching undergraduate courses. He lives in Connecticut. 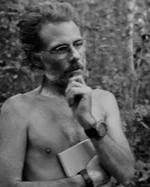 J. Michael Fay is an American biologist, ecologist, and conservationist. Among his best-known proj-ects are the Megatransect, in which he spent 455 days walking 3,200 miles across Gabon and the Congo Basin, and the Megaflyover, an eight-month aerial survey of the entire African continent. These projects brought attention to the need to protect the last remaining pristine forest in central Africa, and led to a historic initiative by the Gabonese government to create a system of thirteen national parks, comprised of some 11,000 square miles of wilderness. He is the National Geographic Explorer-in-Residence.